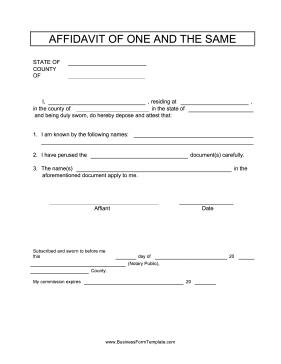 This free, printable affidavit of one and the same confirms that the affiant is referred to by more than one name that might appear in a legal document. I have perused the ____________________	document(s) carefully. The name(s) ____________________ in the aforementioned document apply to me.